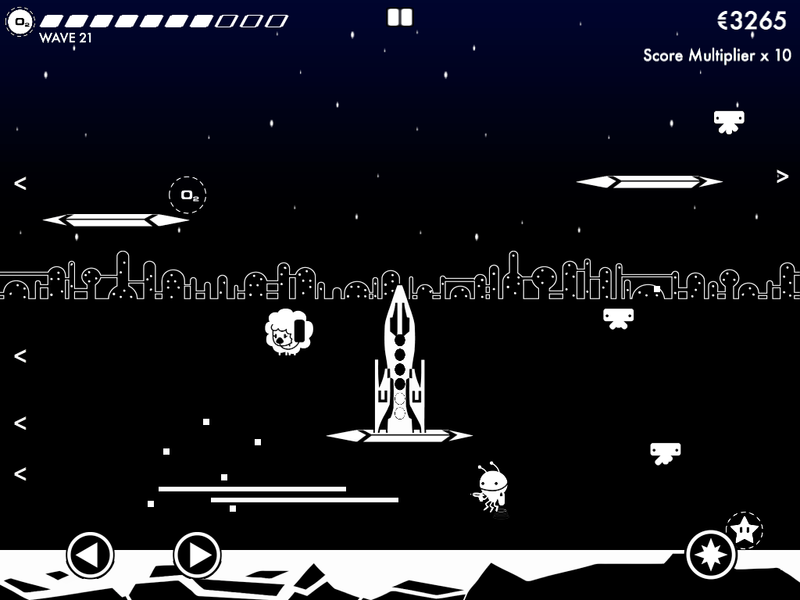 10 word description: Jetpac reinvented. 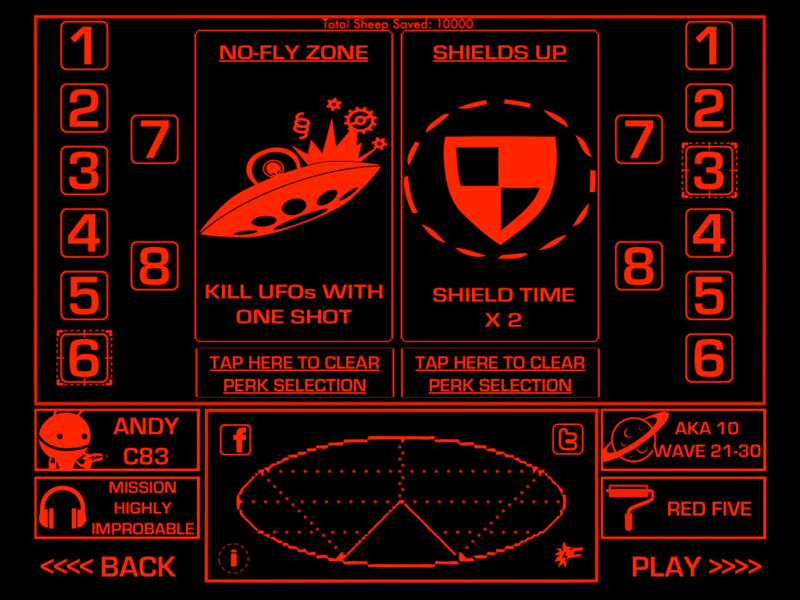 Multiple playable characters, boss fights, UFOs, 100 levels..
10 word review: Insane action. 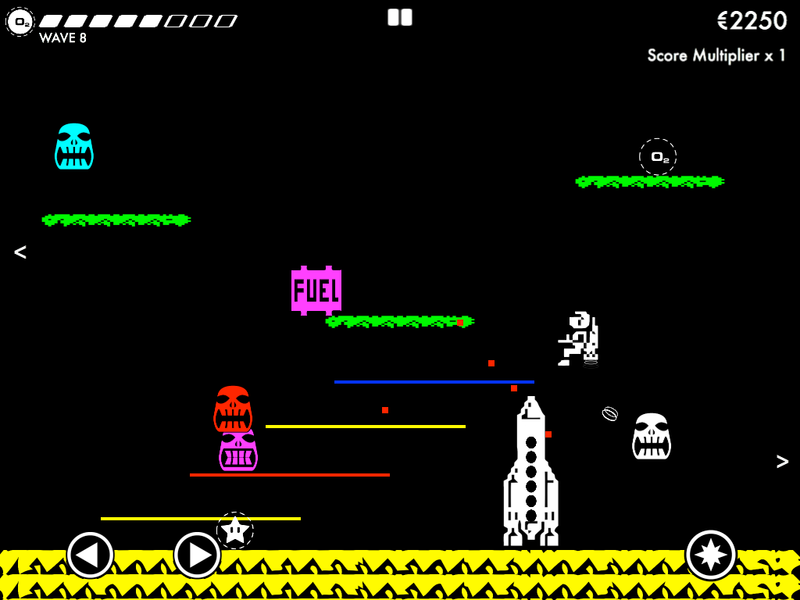 Probably pretty much how Jeff Minter remembers Jetpac. You will like this if you enjoy: Having your faith in video games restored. 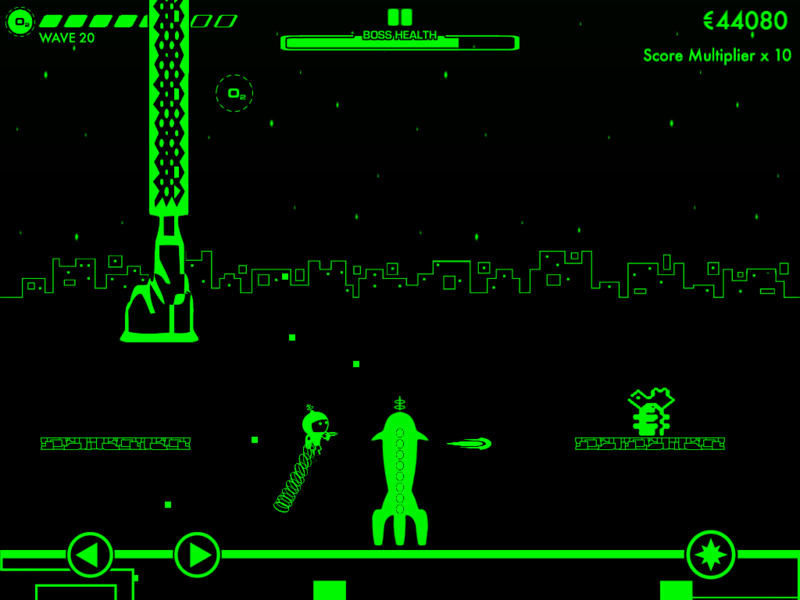 The good news: Relentless Jetpac-inspired shooting action. Trademark Quantum Sheep visuals. Precise, responsive, well-positioned controls. Absolutely loads of unlockable playable characters, colours, music and perks. Perks! Mad – and I mean utterly bonkers – bosses. No IAPs, of course. Great music. The bad news: Sheep are NOT molluscs. 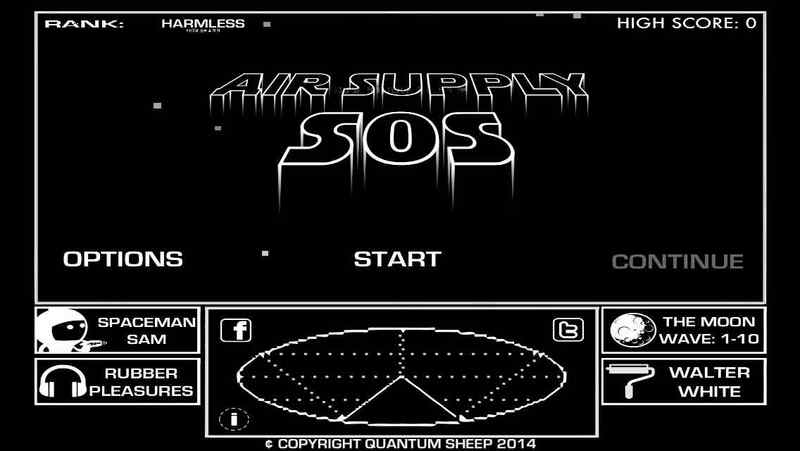 Arcadelife verdict: SOS is Quantum Sheep at the top of his game. This is not Jetpac through rose-tinted specs, this is Jetpac’s hyperactive great-grandson pogo jumping all over your rose-tinted specs and partying hard with recreational pharmaceuticals. And giant, cuddly space-sheep. 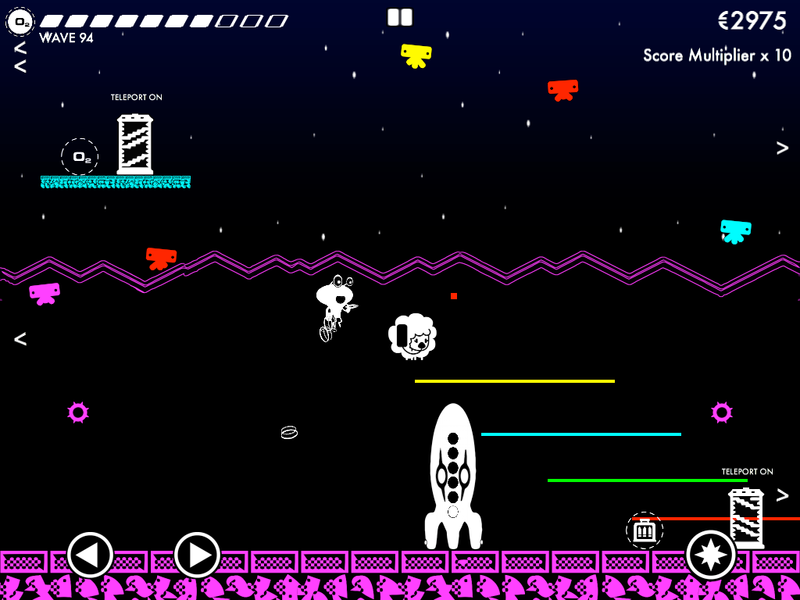 While it certainly owes its basic gameplay mechanics to the ZX Spectrum classic (Jetpac), SOS swaggers up like the best cover version of your favourite song and just demands to be played until either your thumbs or your battery are exhausted. 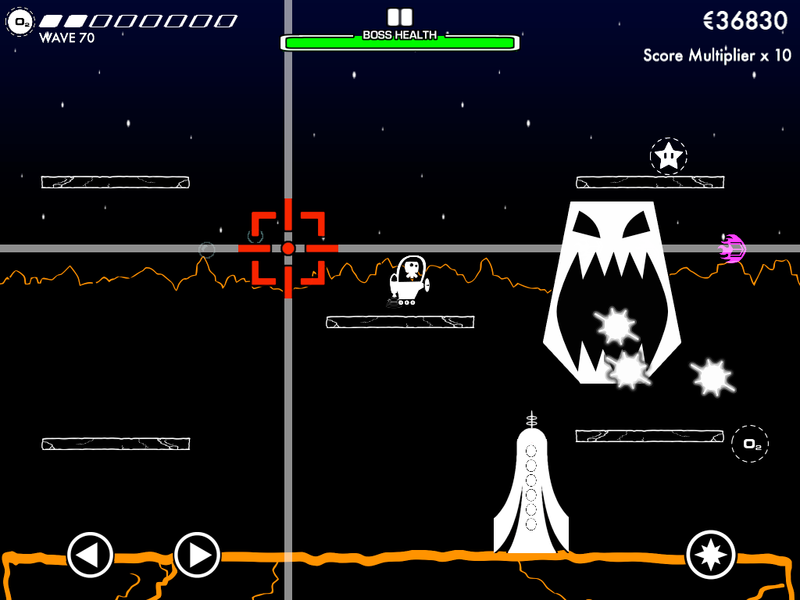 Now get out into space and rescue those sheep!